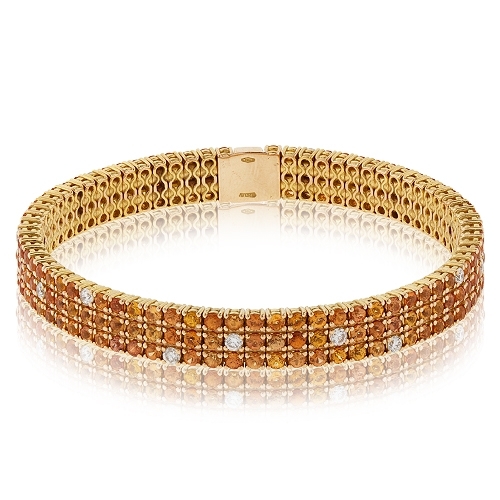 3 Row Bracelet set with brilliant orange sapphires and white diamond accents in 18kt yellow gold. Diamonds approx. 0.64ct.